The average lifespan of smartphones down to new models that are often planned for two years, has been the trick of smartphone manufacturers. This forces users to get a new smartphone. As early as 1920, the global market for electric bulbs companies like Osarm , Philips, General Electrical, decided to form Phoebus Cartel , entered into a confidentiality agreement. All newly manufactured electric bulbs life limited to 1,000 hours. It was decided to make the changes needed for the construction of quality, technology and Scrap (remember, was the average life of 1,500 hours, even in the early Edison made ). For more read 'The light Bulb Conspiracy' documentary which was published in 2010, which was based on Planned obsolescence by Phoebus group. Usually four or five years ago, he bought desktop/ laptop computers are still functional, so you can take in all the basic needs. However, last two years old smartphone now slows down when you type a message, or dial a phone number. Why is this,did you ever thought? There are many examples of the fact that the smartphone manufacturers make their new series, released smartphones is based on the planning which is clear a script is exactly what is planned to be scrutinized for this allegations. When the fifth generation of the iPhone arrived , all the iPhone 4 customers were freely updated to Apple iOS 7 . There are widespread complaints from iPhone 4 users. However, Apple has not responded to it. The second generation of the iPad iOS 5.1.1 updated first generation of the iPad. How come that an absolute coincidence, Apple's Safari browser is often crashed? It's only a matter of Apple. Check out the Galaxy series of Android smartphones that Samsung's best seller. With the Galaxy S series phones, notebooks and mobile phones in the series due to growing complaints of widespread Core Updates were unusable. Software updates can make the phone hardware significant problems , forcing users to abandon the phone . Unlike the desktop operating system updates for security update , the new smartphone update force users for system updates the phone. perceived obsolescence is the trick by which customers are made to think that their smartphone as a status symbol and force them to abandon their old phone. Some applications are available only to users of the iPhone 6, the Galaxy S 6 . even thought with some adjustments this app will work on old smartphones. These are small changes made consciously. Samsung's new generation of the smartphone as the most important feature like 'Pop video player ' The average user hardly use this feature .This goes same to "Wireless Printing". The iPhone 'Siri', the Samsung Galaxy series' Smart Scroll " these celebrated features were told as a reason you should upgrade your phone. Only the Galaxy S smartphone or the latest model of the curved edge of the screen 6, a fancy tool, providing for a customer are yet to be evaluated. Parts of the new generation of smartphone is very costly. Repair costs will be more than 50 per cent of the price of a new phone. A new generation of the phone down as soon as a withdrawal of the previous generation of phones companies in the market for components. This new model is better for the user to bring the notion . Customers are now ready to buy a new phone and did not even check that they can repair or it is possible to repair the smartphone. New smartphones that provide a variety of mobile data / voice plan . Switching between the old and new plan attractions for those who have plans to buy a new model of mobile phone and found this plan comes with only new smartphone. This make users to think that they are using old phones. Hardware: an average lifespan of the battery is a Lithium-charge-recharge cycle and up to 300 to 500. Since then, eventually, the battery storage capacity decreases. This means that in a few years will be to ensure that the battery is to change the situation. This strategy of Apple, Motorola, Nokia and other companies followed. The new models of smartphones that are often down to the average life of two years.Companies are able to bring these idea to customers. 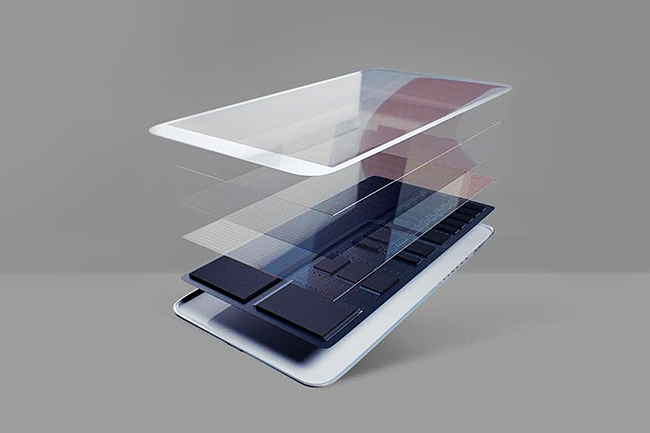 All existing smartphone have Gorilla Glass which is resistance to scratch . But like every glass if a Gorilla glass smartphone fall down side ways it will crack.Further gorilla glass cost much more than ordinary glass during repair. 1.Don't except push updates for your smartphones. 2.Turn off auto update.Especially ignore an update before a new model launch an update just after a launch of new model smartphone. 3.Only update Apps if needed.Visit review websites for smartphones and Apps before going to buy a smartphone or App. 4.Root your smartphone and install a custom ROM.You can sill use an old smartphone by this.You will get latest features in your old smartphone this way!